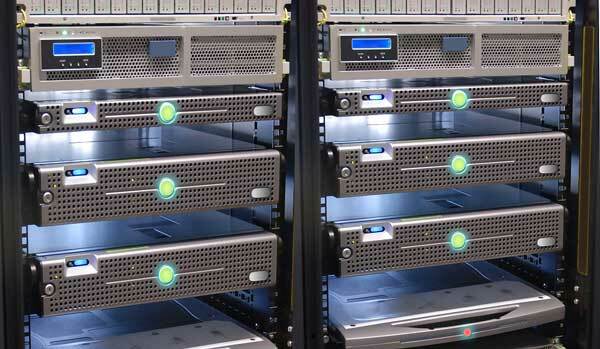 Server Pronto offers dedicated servers starting at only $49/month. This is the lowest price from an established company we could find. What’s more, they offer great support and hardware selections. All of their boxes come with free Webmin control panel, with Plesk and cPanel/WHM available for a small fee. Their $49 server comes with a dual-core AMD Athlon II processor, 2GB of RAM and 500GB SATA hard drive. Lastly, they offer free set-up and free support on all servers. They offer truly cheap dedicated servers! Interserver offers very cheap dedicated boxes that will allow smaller-to-medium sized websites room to grow into a larger dedicated server. Interserver offers the room to grow in the form of better dedicated servers, which allows for easy upgrades. The $49 server includes a dual-core Atom server, 2 GB of RAM, a 250GB SATA hard drive, 6 TB of bandwidth monthly. The middle-of-the-line server includes a quad-core Xeon processor, 16GB of RAM and the same other configurations of the starter server. The top of the line server from Interserver includes 12 cores of processor and other upgrades. SingleHop offers premium cheap dedicated servers starting at $159/month. This baseline server has an Intel Core i5 760 processor (4 x 2.8 ghz), 16GB of RAM, 2TB of storage space, outbound bandwidth of 10TB/month and unmetered inbound bandwidth. Of 90 reviews posted on the SingleHop website, almost all are positive. The average rating is 5/5 stars. We feel that for the money, this is a great cheap dedicated server for moderately-sized websites. Big website: This is a common problem. You may have a site that is too large for a VPS or shared hosting package, but not yet earning enough to afford a high end dedicated server. You may not want to spend a large sum of money to host such site. For those who only have a few thousand visitors/day, this works great for you. Many cheaper dedicated servers only cost $50-100/month. This is very doable for many sites. Tight budget: As it often happens, you may just don’t have the money to buy an expensive server: we understand that money is a concern and if you don’t have the budget for a large dedicated server, you can choose a cheaper option and it may serve your needs great as well. Many people use a smaller dedicated server for less money as a segway into a large solution when needed in the future. If you want to learn server administration: This is for those who want to “play” with a dedicated server for development or educational purposes. For those looking for this type of solution, a cheap dedicated server is a great choice.